Having a carpenter ant infestation is no picnic. Black carpenter ants (Camponotus pennsylvanicus) make themselves unwelcome guests in your home by boring tunnels in the walls and foundations in order to create their nests. Unlike termites, they don’t actually eat wood, but their destructive behavior can cause expensive damage to homes and other structures. 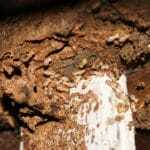 If left unchecked, these wood-boring insects can spread quickly throughout your home and cause a severe infestation. 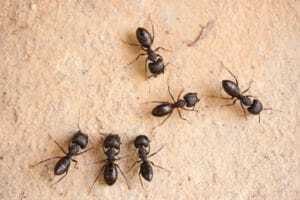 Where Can You Find Carpenter Ants? Carpenter ant infestations can occur indoors or out, and wood objects or structures are most vulnerable. It’s hard to find them when they are deep within walls or other hard-to-reach areas, so it may be easier to spot them near windows, doors, fireplaces, and other areas with access to the outside. Look for them in areas that are most susceptible to moisture—windows, roof eaves, decks, porches are popular places because damp wood is easier to bore through than dry. 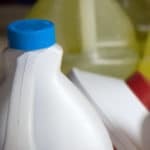 They are often found indoors near leaky sinks or tubs. Outdoors, they like to inhabit rotting tree stumps and wood piles. Sawdust-like material (frass). As ants burrow through wood, they leave behind piles of wood shavings that may lead back to the nest. 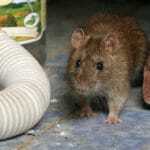 Soft crunching or rustling noises can sometimes be heard inside walls or wooden structures. The ants themselves. One of largest ant species found in the United States, carpenter ants can range in size from 3/8” to 1/2″. They are usually black, but can also be brown or reddish brown in color, and have segmented bodies with antennae. Worker ants are generally wingless. There are steps you can take to prevent these destructive pests from becoming uninvited guests. 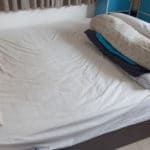 Fix leaks in the roof or plumbing. Make sure mulch, wood, and leaf piles are not up against the exterior of your home. Carpenter ants love to make their nests in piles of firewood, so be sure to stack wood away from the house and on a raised platform if possible. Trim branches and limbs so that they don’t touch your home’s exterior, otherwise they can act as a bridge for ants to crawl from trees to the house. Repair or seal cracks and crevices in your home so that they can’t be used for easy access. Replace any decaying or rotting wood in window sills, doorways, or beams. Remove dead trees or rotting tree stumps from your yard. If you suspect you may have a carpenter ant infestation, call Green Pest Solutions at 877-636-9469 to arrange for an inspection by a trained professional. Discerning one type of ant from another is not always easy, but it is an important step to figure out if you will need to control it, and how. 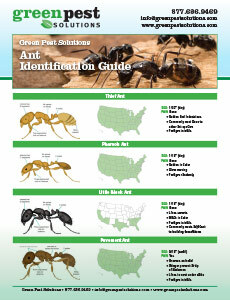 Quickly identify some of the most common ants found in this region by color, size and location with our guide.